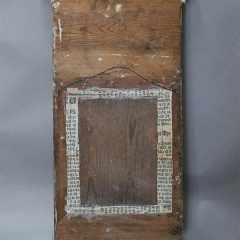 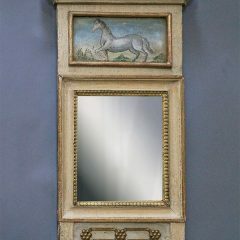 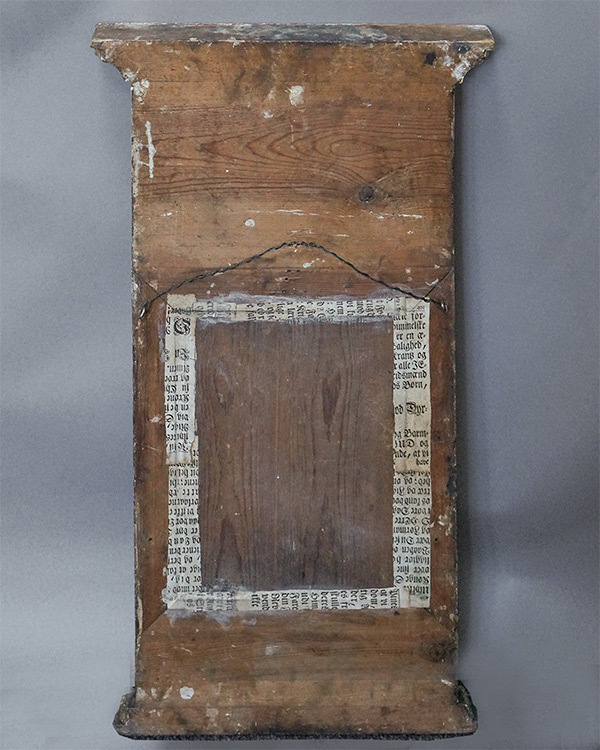 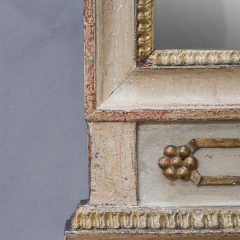 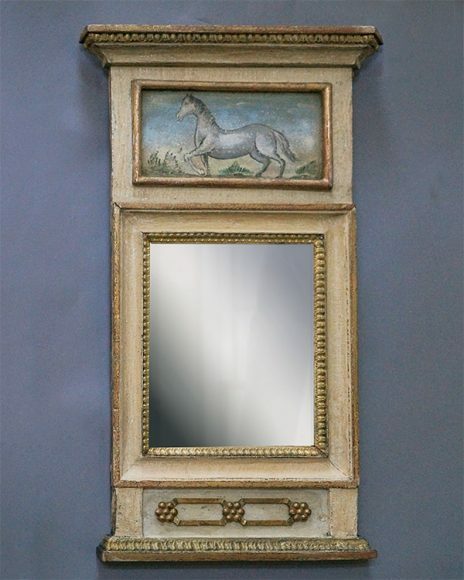 Period Swedish mirror, circa 1790, with original painted and parcel-gilt surface, mirror glass, and back. 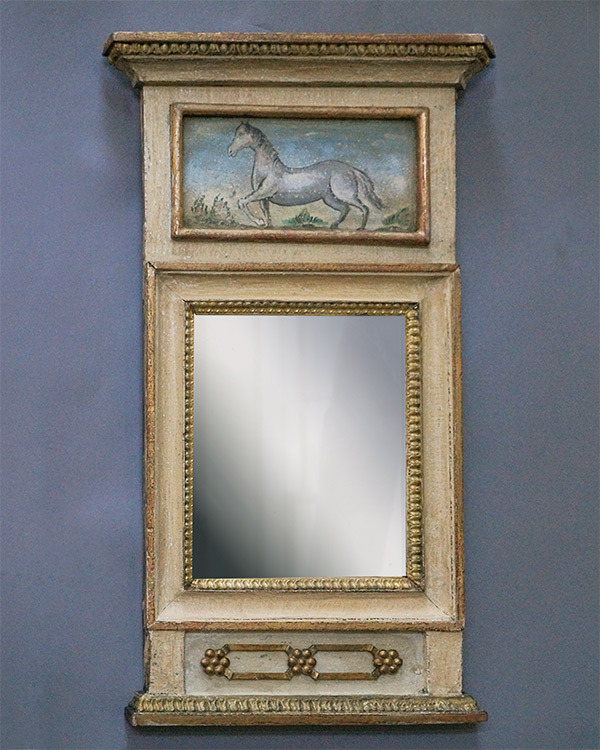 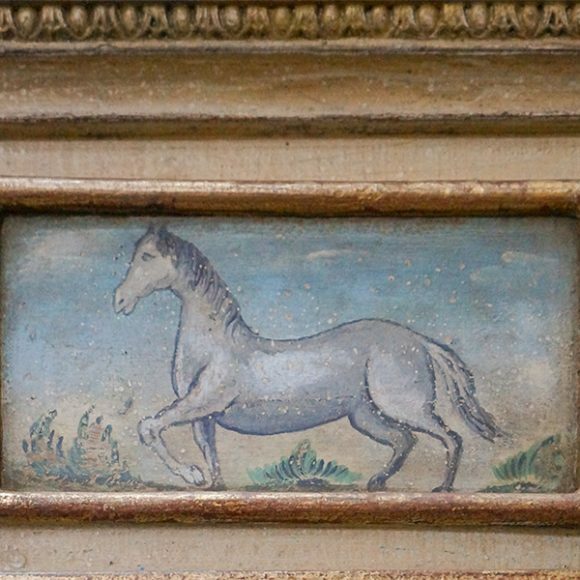 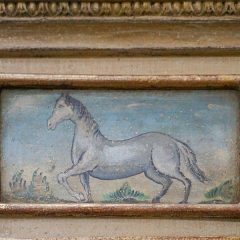 The unusual upper panel features a prancing white horse. 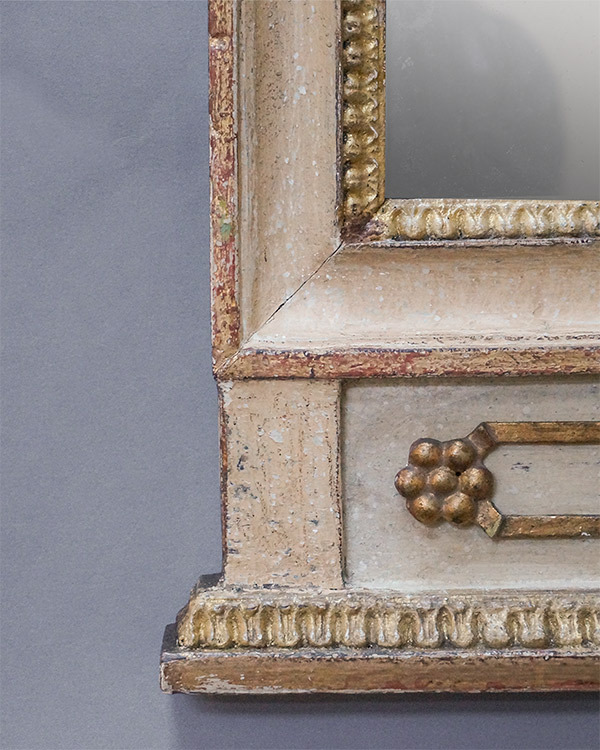 A charming and characteristically Swedish piece.